The SM-170/C is a life-sized female love doll by SM Doll. Her body size is about 170 cm and she weights ca. 42,5 kg (manufacturer specs). The SM-170/C is made of TPE and features a posable metal skeleton with hinges. Body measurements: 88 cm × 63 cm × 96 cm (BWH) / 34 cm (shoulder) / 65 cm (arm) / 90 cm (leg) / 21 cm (foot). The SM-150/E is a medium- to almost life-sized female love doll by SM Doll. Her body size is about 148 cm and she weights ca. 28 kg (manufacturer specs). The SM-150/E is made of TPE and features a posable metal skeleton with hinges. Body measurements: 74 cm × 50 cm × 86 cm (BWH) / 54 cm (under bust) / 33,5 (shoulder) / 45 cm (arm) / 74 cm (leg) / 20 cm (foot). The SM-150/L is a medium- to almost life-sized female love doll by SM Doll. Her body size is about 150 cm and she weights ca. 28 kg (manufacturer specs). The SM-150/L is made of TPE and features a posable metal skeleton with hinges. Body measurements: 99 cm × 46 cm × 50 cm (BWH) / 52 cm (arm) / 78 cm (leg). Head no. 26 (Shangmei no. 26) is a female head by SM Doll. Head no. 6 (Shangmei no. 6) is a female head by SM Doll. Head no. 55 (Shangmei no. 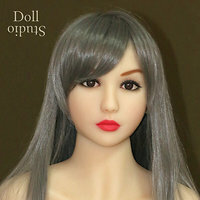 55) is a female head by SM Doll. Head no. 41 (Shangmei no. 41) is a female head by SM Doll. Head no. 63 (Shangmei no. 63) is a female head by SM Doll. The head is made of TPE and features pointy elf ears. Head no. 32 (Shangmei no. 32) is a female head by SM Doll. Head no. 57 (Shangmei no. 57) is a female head by SM Doll. Head no. 23 (Shangmei no. 23) is a female head by SM Doll. Head no. 4 (Shangmei no. 4) is a female head by SM Doll. Head no. 54 (Shangmei no. 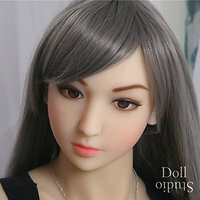 54) is a female head by SM Doll.